Last night, as I was checking my social networks, I noted a lot of complains from people in Klang Valley that they were unable to make or receive calls on Maxis network. NETWORK BUSY NETWORK BUSY NETWORK BUSY !!! Maxis PROBLEM !! Is Maxis voice service down? We received two reports from Subang. 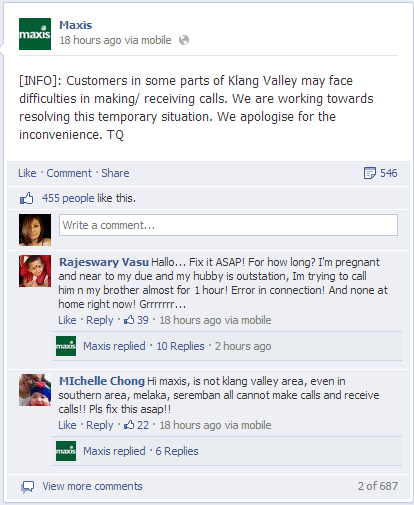 Maxis has also been tweeting and posting on Facebook on the issue. (Con't) Ulu Kelang, Cheras, Dengkil, Kajang, Hulu Teriang, parts of Melaka, Negeri Sembilan & Pahang may face issues to make/receive calls. 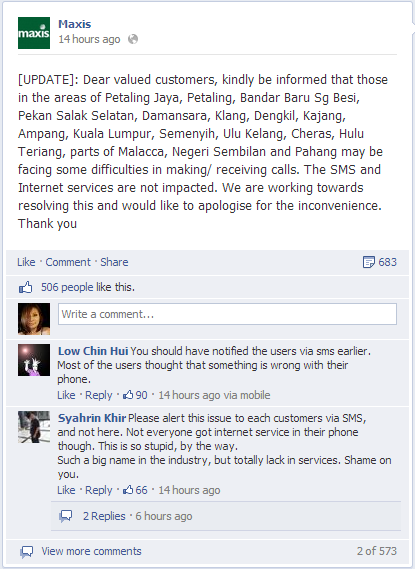 Even U Mobile, which does domestic roaming with Maxis was out. 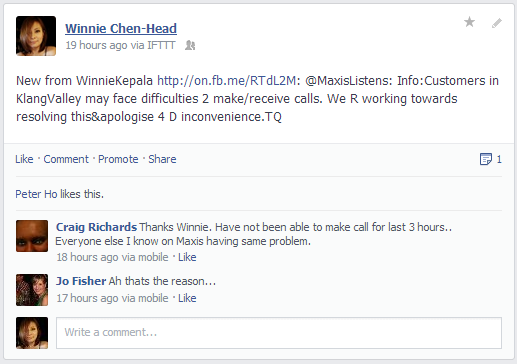 I also shared Maxis’ tweet and statement on my Facebook Page and personal profile. We apologise to our customers who have experienced difficulty in making or receiving calls in the Klang Valley and extended surrounding areas. Our engineers responded to a technical incident at 4:50pm on 15/6 and have worked around-the-clock to restore the service. We were able to isolate the fault and the voice service has been restored. 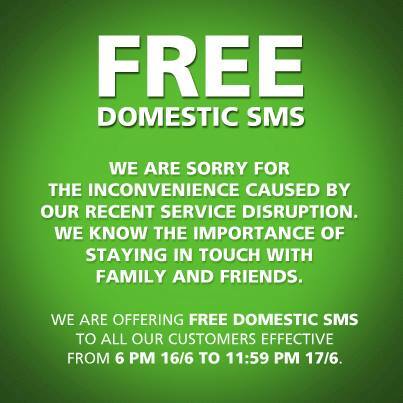 Our SMS and internet services were not affected. I shared this immediately on my Facebook Page, Twitter and hubby who was with me. As compensation for the voice call network outage, Maxis is offering FREE domestic SMS from 6pm tonight (Sunday) until 11.59pm tomorrow (Monday). So, no WhatsApp then, just SMS like crazy!!! Hahah.